Product prices and availability are accurate as of 2019-04-21 11:12:10 UTC and are subject to change. Any price and availability information displayed on http://www.amazon.com/ at the time of purchase will apply to the purchase of this product. 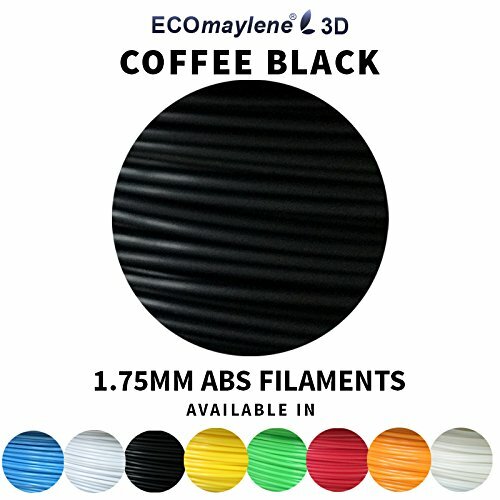 BRING YOUR DESIGNS TO LIFE: Facilitate your work, create unique arts and crafts and explore the full potential of your 3D printer with the greatest ECOmaylene ABS filaments! 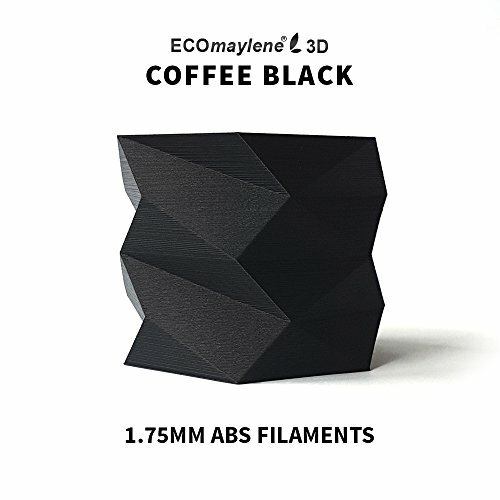 Ideal for students and teachers, engineers, designers, and yourself of course! 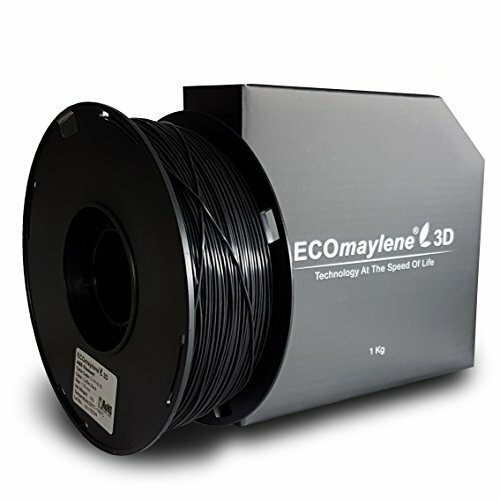 HASSLE FREE USE: Filled with dense materials our 3D filaments can withstand everyday tear and wear. They are extremely easy to use and provide consistent results. Consistent diameter and roundness thanks to their tight laser controlled tolerance. LOW to NO WARPING: Stop worrying about warping or breaking. With little to no chemical odors as well! 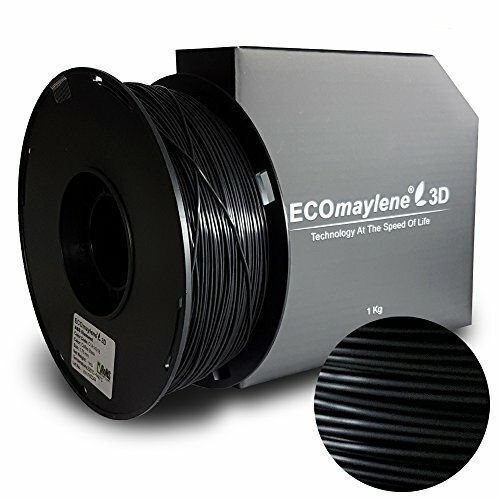 Our ABS 3D printer filaments have increased toughness and longer lifespans! Ideal for home, classes, office and work! WHAT YOU GET: Our 3D printer filament arrives packaged in vacuum shrink wrap with a desiccant bag to ensure controlled humidity levels in transit. 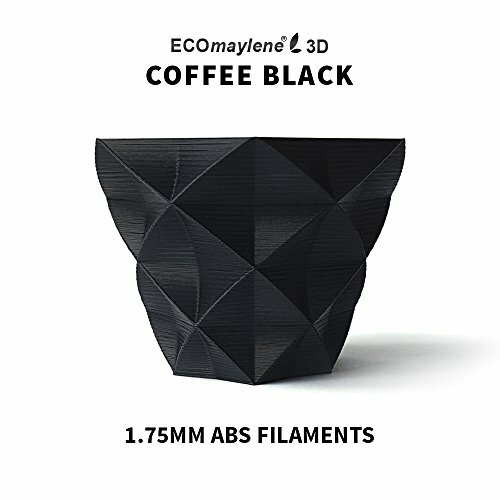 Open the bag and find 1 kg Coffee Black filament Spool, 1.75 mm, with dimensional accuracy +/- 0.05 mm. 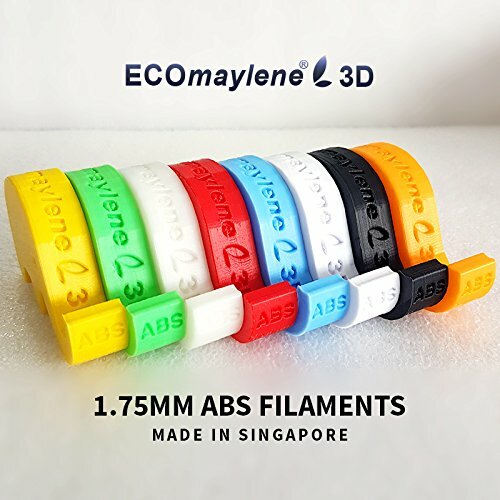 COMPATIBLE WITH MOST 3D PRINTERS: these ABS printer filaments are here to skyrocket your projects and personalized creations! Choose the colors you like the most among, blue, black, orange, green, white, yellow and more, or simply get them all.